C. Santi*,V. Dragone, L. Di Schino, A. Antosweska, C. Tidei “Bio-Logic Oxidations”Chim. & Ind.2011, 8, 99-101 . 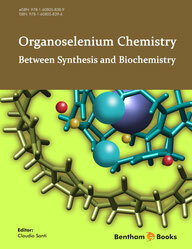 C. Santi*, S. Santoro “Electrophilic Selenium Reagents” in “Organoselenium Chemistry” Ed. T. Wirth, Wiley-VCH, 2011 – pp. 1-51. Org. Biomol. Chem., 2011, 9, 6205-6207. B. Battistelli, L.Testaferri, M. Tiecco, C. Santi* “On-Water” Michael type Addition Reactions promoted by PhSeZnCl”Eur. J. Org. Chem.2011, 1048-1051.